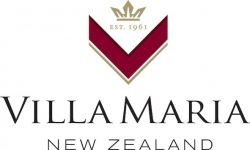 Villa Maria is 100% family-owned and is New Zealand’s Most Awarded winery. For the last four consecutive years Villa Maria has been named in the top ten most admired wine brands and number one in New Zealand by Drinks International. At Villa Maria we are as passionate about our people as we are about producing quality wine. Villa Maria family of wineries has a new state-of-the-art winery located in the North Island in the Gimblett Gravels of Hawkes Bay, a multifaceted grape growing region with a reputation for world class Chardonnay, Syrah and Bordeaux Blends. The winery is home to our iconic brands Villa Maria, Vidal Estate, Esk Valley, Te Awa, Left Field and Kidnapper Cliffs, presenting a unique and engaging opportunity to work with several of New Zealand’s most renowned winemakers, all under one roof. Designed to accommodate a range of wine styles, our modern winery includes open-top concrete tanks and fruit sorting equipment specially designed for premium small batch winemaking, with a particular focus on our significant barrel program. We are now seeking Laboratory Technician candidates to join us in Hawkes Bay for a permanent position. Duties will vary and include carrying out daily analysis, harvest and data entry. Proficiency is expected on key processes and requires the ability to prioritise tasks while confidentially undertaking several duties simultaneously. A robust Health & Safety focus will underlay a strong quality ethic. We want to hear from energetic, self-motivated people with a hands-on approach and strong attention to detail. Applicants must have a relevant tertiary qualification and relevant experience in a science or lab-based role. Experience in the wine industry and an interest in wine, would also be an advantage. During vintage, shift work will be required, working up to 12-hour shifts across 6 days.